Are you planning to renovate? 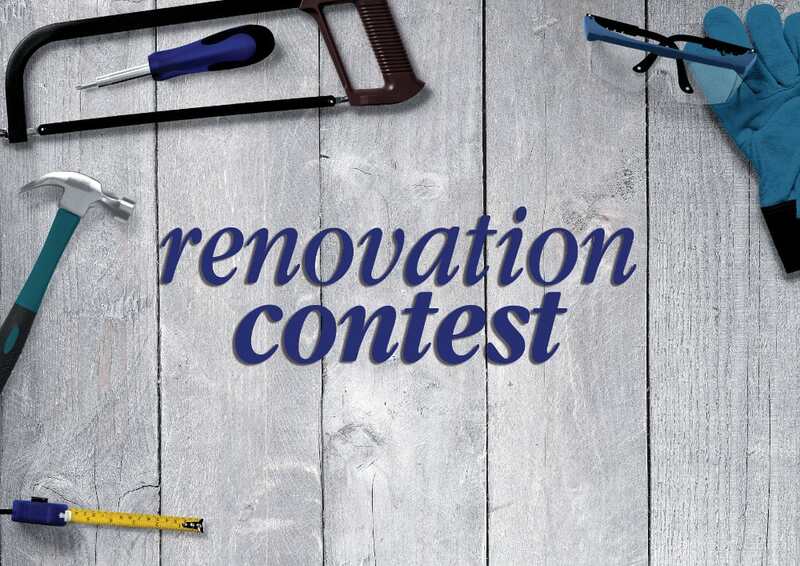 Answer a few questions in the widget below and you could win a $200 Home Hardware gift certificate to use towards the purchase of supplies for your next reno project! Contest Ends at 12:00 am EST on September 3rd, 2018. Open to Canadian residents over the age of 18. Void where prohibited by law. Win the Security System of the Future! I’d use it for outdoor furniture. I would use the gift certificate to buy paint and all the tools needed for painting. Our little house needs painting and better floors. The gift certificate would definitely help a lot!! I would use it towards some new light fixtures. I would use it to buy materials for our DIY basement renovation. I would use this to clean up the tiles in the bathroom and kitchen. I am doing a total home renovation, Possibly the Bathroom. I would use it to purchase an undermounted sink and faucet for my kitchen. Really need to shop for new flooring.. No more carpets! I would use it for supplies to complete the projects and fixtures. Would use the gift certificate towards upgrading lighting. I would use the gift card to purchase paint to redo my kitchen. I need a new kitchen faucet. I would use it for paint to refresh both bathroom. I would use it for paint and home essentials. We plan on finally updating our laundry room and will need a new laundry tub and faucet. I would use it for paint! I would use it for organizational stuff – I need to sort out the garage! I would use it for some lumber and plumbing supplies for our water room! I would use it for a sink . . . faucet already purchased. I am purchasing pieces one at a time until I have everything to redo my kitchen. We have a very small ‘porch’ on the front. Want to make a front porch run the full length of the house. Also, it gets evening sun so will be a nice place to sit and relax and watch the sunsets. I would use it to renovate the deck. I would get some kind of lighting or paint or construction products like dry wall but it all depends on what I like or need most at the time. I would put the winnings towards accessories for the bathroom. I would use it on landscaping items, thanks for the chance! My acrylic shower stall has seen better days. A beautiful tiled shower is in the plans. I would use it to buy paint to update my basement rec room! Brand new home so we are renovating the basement want to turn it into a home theatre area . Would use the gift card for new lighting . It would be to help redo decks. This would definitely go into my bathroom reno! I would buy a new coffee maker to go with my refreshed kitchen! A vote for Jane…..love it! Will be used towards flooring materials. I would love this gc to help with my basement overhaul!!! The purchase of flooring and or paint. I would use the gift card to purchase new light fixtures and paint for our renovations! I would use it to bu new furniture. I would start by buying handles for my cabinets, they are so hard to open without them. I would use this certificate towards garden tools and lawn care. I would use the gift certificate to renovate my home. I would use it for a kitchen faucet. I would use it towards getting new outdoor grill or new patio chair cushions. I would use this prize towards a new deck. Our old one is in pretty bad shape. Great contest. One question has the wrong word, While should be will. I would use it for a new kitchen faucet or for lighting. Excited to renovate my bathroom! I would use it to buy materials I might need to do my renovation project. I would use it to replace our rotting patio deck that needs to be replaced ASAP. I would use the gift certificate to buy materials for general repairs. I would use it to buy supplies for general repairs. I would use it to finish off my back yard! For our build next spring. Great contest. I need a new kitchen stove. Some of your painting supplies. I would use this prize to help pay for flooring! Deck stain for my veranda. I would put my winnings towards fixing up my kitchen, with some paint and flooring. I need a reno to my back deck! I would use it for building materials and paint! I’d use the gift for upgrading our outdoors patio and landscaping the garden area of our new home. Upcyling things around the house! Our Summerland Home Hardware is one of the loveliest places to shop. The staff are super friendly and there is such a variety of items to choose from. We love our store! I’d use the gift certificate towards a new door and windows. I would use the money to buy paint. We would use the gift certificate towards the purchase of a new deck! Use toward our reno supplies budget. Need to upgrade our old garden furniture. I would use toward that. I need a small patio set. I would use it to fix my toilet, which has a leak! We REALLY need new carpets in our apartment. Probably use card for more tools. I would use it for some new bathroom fixtures. Copper pieces for new DIY furniture! I’d use the gift certificate toward new interior lighting. Need new vinyl flooring, and I want the expensive stuff! New patio Furniture would be wonderful! I would use the gift card for new bathroom shelving. I would use 200.00 towards a new kitchen sink. I would use the gift card to buy a new kitchen sink. I would update my kitchen – a new sink and faucet is top of the wish list! I would use the gift certificate to update my toilets to new low flow ones! Kitchen and bathroom need to be done. I need a new table saw. I would probably use it towards a new kitchen sink, faucet and taps. Would to love to win! I’d use it to redo our bathroom. I’d probably put it toward some furniture. I would use it to pay for paint for the baby’s room. Our outdoor pool bar build is underway. looking forward to our new relaxing space. i would love to purchase home cleaning supplies and tools. I would use the gift card to purchase paint. I would use it for gardening tools! We would use it for upgrading the lighting in our bathrooms we would renovate. 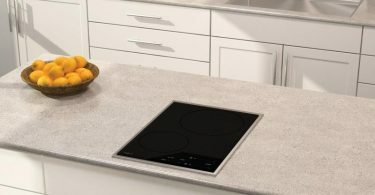 I am looking to update our kitchen – would love to use the money towards a new kitchen sink!!!! I’d use it for furniture and faucets! If I won this prize I would replace the window coverings in the spare room. I would use it for new taps in the bathroom and flooring in the bathroom. I would use the money for finishing the deck railing or repairing the fence. Need to regrout the ensuite and upgrade the mirrors. The GC will help with that. I would put it towards replacing the front door. Great prize to start a small reno! Fabulous giveaway!!! Practicality meets daydreams! I would put it towards upgrading my bathroom. Great Products & Helpful Tips! I would use the gc for new flooring in the bathroom. I would use the gift card for gardening supplies! I would used it for some of the supplies needed for re-surfacing our deck. This gift card would really be handy. I am looking forward to upgrading my family’s garden! I would use the gift card to buy some paint supplies, lights, and bathroom hardware and accessories! I’d use the gift card to pick up odds and ends for finishing touches around our house. I would give the gift card as a present to my Dad. It would be used to buy whatever is necessary for projects/fixing things/etc. 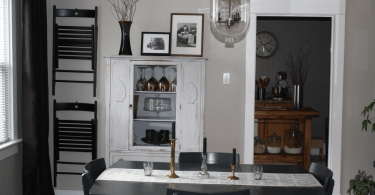 I’d like to use a gift card to help with our kitchen reno – new cupboards! Wood & paint for deck repairs. I’m not sure what I would spend it on right now. We are trying to finish the basement, so there is a lot to do down there. I use it for paint and paint supplies. I would love to finish our house which means the basement needs to be done! I would use the money towards making a pergola on my desk. this prize would allow me to buy some paint. I would love to win this contest we inherited a family home that needs A LOT (and I do mean A LOT) of work. We’ve been doing the best we can but, the costs are hitting us hard any help would be awesome! love to update and repair our bathroom, new floor and new paint! We would replace our deck flooring, putting in low-maintenance vinyl instead of wood. I would use it to buy paint and stain. I would use the gift certificate for purchasing renovation material. I would use it towards some outdoor furniture. Some LVP or LVT for the kitchen and/or front room! I would repaint my deck and fence. we would use the gift card to renovate our basement, it would be nice to pick out a new couch! I will use it for my kitchen reno! I would use the Home Hardware Certificate to get paint, some flooring and lighting. I may purchase some shelving organizational furniture. our backyard is in desperate need of a fence, our neighbour has decided to stop cutting his lawn now has 6 foot weeds. The weeds are now coming into our yard. I would like to prevent this and re-stone the back. We would also like to redo our floors in the upstairs and take out the carpet. So fence boards, patio stone or flooring would be what we would use the gift cards towards. I would use the gift card to freshen up the bathroom! I would use to help our bathroom renovation or new front door. I would use the gift certificate towards replacing two skylights in our house. I would give it to my hubby for his upcoming birthday and hope he finally gets the tiles to do a backsplash! Thanks for the chance! I would use it towards landscaping materials and/or interior doors. I would use this gift certificate to purchase supplies for some renovations we’ll be doing at home. I have yet to purchase a sink, mirror or lighting for our bathroom and have been browsing at Home Hardware for these items. This would really be a huge help in getting this work accomplished. I would use it for gardening items. I would use the gift card for towels, kitchen appliances, bathroom and kitchen stuff. At the moment it looks like it would be used for paint. I’d use this to redo my bathroom floor. I have spent thousands at Home Hardware! Have to redo the stain the back deck this year. I would use this prize to help make my backyard more kid friendly and less of a concrete jungle! Some great new soft furniture, turf, rugs, planters, deck box! Major renos inside and out going on. Helpful site. Upgrading our kitchen cabinets would be the renovation priority! Looking to paint bathroom cabinets. I would use the giftcard for some work in our Laundry room. Use it to do the bathroom. I would use it for my deck Reno. This money would go towards the paint and new bathroom accessories. I would use the gift card to purchase some new flooring. 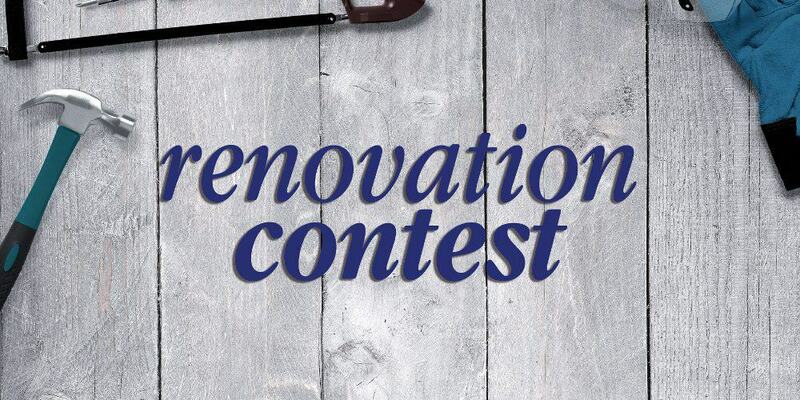 We’d use the gift certificate to renovate an older home! Would use to purchase light fixtures or vanity for bathroom reno. Its so hard to renovate. I’m always afraid of the mistakes I will make and find out later that I could have chosen something else! I would use it to upgrade our bedroom. I would buy a new bathroom faucet. It would be used for finishing my basement. I would give my living room/dining room a much needed makeover. Everything is outdated and becoming worn. We are building a deck this fall. We would put this towards that. I would use this to buy furniture. Renovating bathroom would use to buy light fixtures or vanity. We have to update a 1980 townhouse…..where do you start? Dusty rose carpets have to go!! I would use it to buy things for our house we just bought and are renovating! I hate renos in the summer…waiting a few weeks more before starting! I would use this towards lighting fixtures or paint when we reno our bathroom or to paint our kids bedrooms. Always a project to do around the home. This gift certificate for my favourite store, Home Hardware, would be much appreciated for materials to help winterize my lake cabin. I would use it to buy new perennials & deco for outside garden area. I would use the $200 to purchase paint to update my living room. I would use the gift certificate to purchase some materials I need to build some stone work on my existing patio. Renovating bathroom and need to buy a vanity and taps so this would help us. I would use the gift card to upgrade the lighting in the kitchen working area. I would use the gift card toward new kitchen cabinet doors. I would put it towards a new floor for my kitchen. I would use the gift certificate towards a new laminate floor in my office. I would use it towards new lighting fixtures in the kitchen! I would complete work on my cabin. Supplies! Caulking, trims, paint, paint brushes…there’s tons to buy to get this reno project show on the road! I would use it to purchase flooring for my laundry room. I would use it for flooring and paint. I would use it towards items we require for the work some will be on sale with fall approaching. The ensuite bathroom hasn’t been updated for about 20 years. It’s time!! Patio blocks and rock for the front yard. I would use the GC for paint, painting supplies and miscellaneous hardware needed for my renovation. I would use Home Hardware gift certificate for tools. We are adding a room onto our house. I would use it to buy supplies to finish drywalling our basement. I would use the gift card for plumbing supplies, shower head and tap. I would use it for flooring or drywall. would buy a nice ceiling fan for one of our bedrooms!